New students may register between the hours of 8:00 am-4:00 pm beginning July 25, 2017. Extended hours for new student registration will be August 2, 2017 from 4:00-6:30 pm. Class placements will be mailed home in early June. If you do not receive a letter listing your child's teacher for the 2018-2019 school year you may have a library fine or need to turn in your proof of residency. You can take care of fines and proof of residency by stopping by the main office. At that same time you will be given your letter. 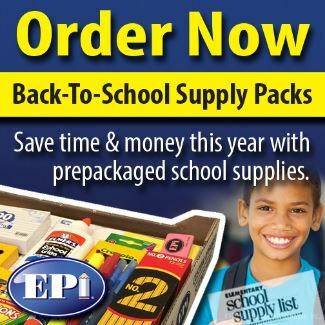 Save time & money this year with prepackaged school supplies.